It’s been a long and winding road, but the end is in sight! In this, the penultimate article in our object manager tutorial, we’re going to discuss working with instance and non-injectable objects in Magento 2. This article assumes a basic familiarity with Magento 2 concepts, and may brush past something complicated. If you’re confused you may want to start from the beginning, or use the comment system below to point to your Magento Stack Exchange question. 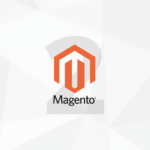 We’ve prepared a small sample Magento 2 module that we’ll reference and use in this article. You can download the module Ecommage_TutorialInstanceObjects.zip. If you’re not familiar with manually installing Magento 2 modules the first article in this series. If you see the You've installed Ecommage_TutorialInstanceObjects! message, you’re all set. What we didn’t cover was how the automatic constructor dependency injection system decides which method to use when it encounters a constructor parameter. Consider a constructor that looks like this. //is $example created with `get` or `create`? We know the parameter will be a Ecommage\TutorialInstanceObjects\Model\Example object, but we don’t know if it will be a new instance of a Ecommage\TutorialInstanceObjects\Model\Exampleobject, or the same Ecommage\TutorialInstanceObjects\Model\Example object passed/injected into other constructors. By default, all objects created via automatic constructor dependency injection are “singleton-ish” objects — i.e. they’re created via the object manager’s get method. If you want a new instance of an object, i.e. you want the object manager to use create, you’ll need to add some additional <type/> configuration to your module’s di.xml file. This is the same <type/> tag we saw back in our argument replacement tutorial. The name attribute should be the name of the class whose behavior you want to change. The new-to-us attribute is shared. If shared is set to false, then Magento 2 will use the create method to instantiate an object every time it encounters Ecommage\TutorialObjectManager1\Model\Example as an automatically injected constructor argument. The shared attribute has no effect on objects instantiated directly via PHP’s new keyword, or the object manager’s two methods. This attribute is named shared due to an implementation detail in the object manager. When you use get to instantiate an object, the object manager stores all the already instantiated objects in a _sharedInstances array. When you configure a specific type (i.e. a specific PHP class) with shared="false", you’re telling Magento 2 that you don’t want to use this _sharedInstances array. So, all you need to remember here is shared="true" is the default, and you’ll get a singleton-ish/global object. If you change your type configuration to shared="false", the automatic constructor dependency injection system will start instantiating a new parameter every-time a programmer instantiates the attribute’s owner object. While the shared attribute is a useful bit of duct tape for those times you need an injected dependency to be a brand new instance object, it’s not an ideal solution for every (or even most) cases where you don’t want singletons. One problem with shared is the injected dependency is still dependent on its owner object being shared or un-shared. There’s lots of times where you just need a new instance of an object and might not be able to refactor your object relationships to accomplish that. In Magento 2, these sorts of objects are called “non-injectables”. Dependency injection is meant for objects that “do some thing”, or “provide some service”. These data objects, however, are meant to “identify this specific thing”. What we’re going to look at next is how to use these sorts of objects without automatic constructor dependency injection tying our hands. However, if you were to do this, your CMS Page object loses out on all of Magento’s object manager features. Fortunately, the Magento 2 core developers haven’t abandoned us. In Magento 2, you instantiate these sorts of non-injectable objects via factory objects. Like so much in Magento 2, an example is worth 1,000 words. Here’s what’s going on: In the __constructor method, the command uses Magento’s automatic constructor dependency injection to create a Magento\Cms\Model\PageFactory object, and then (per Magento convention) assigns that object to the pageFactory property. In Magento 1, we had a set of factory methods (getModel, ‘helper’, ‘createBlock’). In Magento 2 — every non-injectable object has its own factory object. This may take a little getting used to, but compared to the error prone XML configuration needed to use Magento 1’s factory methods, this is already a big win. Ugh! I need to define a bunch of boiler plate factory code? Lame. Where can I see what a factory object looks like? However, neither of these files exist. That’s because Magento 2 uses automatic code generation to create factory classes. You may remember this code generation from the proxy object article. If you’ve actually run the code above, you’ll find the PageFactory class in the following location. Magento 2 will automatically create the factory. If you’re curious how this happens this Stack Exchange answer showing the Magento/Framework/Code/Generator/Autoloader kickoff point is a good place to start. Factories aren’t just for Magento core code — they’ll work with any module class. The sample module we had you install includes a Ecommage\TutorialInstanceObjects\Model\Example object. Let’s replace the__construct method with one that adds a factory class for the Example object. Then, we’ll use that factory in execute. "You just used a"                . "\n\n    "
"to create a \n\n    "           . Run our command with the above execute method in place, and you should see the following. As for the specific implementation — right now a factory’s create method accepts an array of parameters and users the object manager to create the object. However, future versions of Magento may change how these factories work. By having the framework generate these factories Magento 2 saves us the error prone busy work of coding up this boilerplate and the core team maintains control over how the factories work. With this article and its six predecessors complete, we have a pretty good understanding of Magento’s object system, how that system impacts the shape of the Magento code base, and (most importantly) the basic understanding that’s critical if we want to apply reason to Magento 2 code in the real world. There is, however, one last thing we need to cover, and that’s the object plugin system. The plugin system is the true successor to Magento 1’s class rewrite system, and with a solid understanding of the object manager and automatic constructor dependency injection, we’re ready to tackle this next time in our final Object Manager tutorial.